Great group of guys joining us for a few days from our friends at MRO. 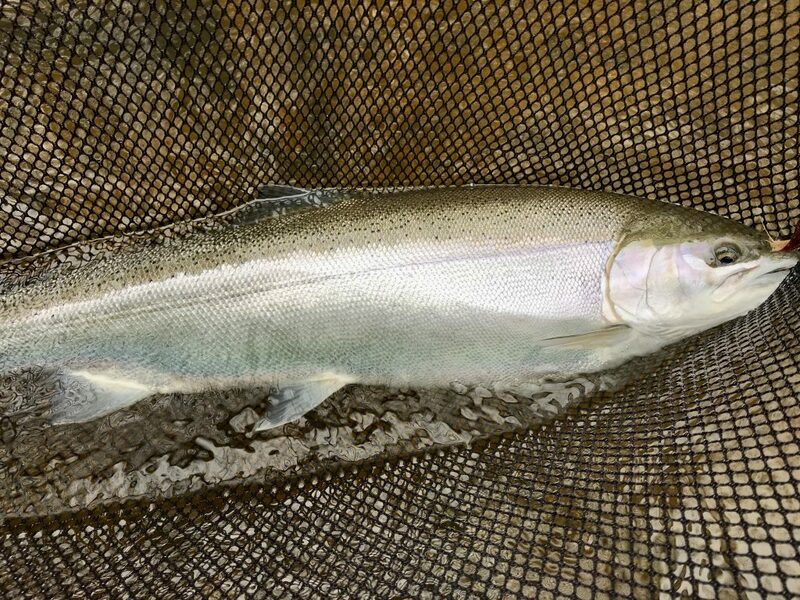 Conditions on the Muskegon are ideal for fall steelhead. 2270 fcs and 45 degrees…post high water, honestly made to order. Let’s hope the steelhead get on the same page. After lunch found Toni needing to warm his hands and take a break. Being the kind guy he is, he offered me a chance to swing a few flies while he relaxed. My third swing was greeted by a familiar grab and a heavy pull. Go figure, I honestly felt terrible….I said this should be his fish, but Toni wanted nothing to do with that kind of talk. Toni did a fine job on the net and was equally pleased to see some bright chrome hit the net. Thank you Toni for the excellent net job—we’ll get yours tomorrow!